Fantastic indoor putting greens for golf practice wherever you like. Lowest prices guaranteed, free delivery, backed by award winning service. At Home Leisure Direct we take great pride in the indoor putting greens we have for sale; perfect for practising your golf putting in your games room, office or anywhere else. We’ll be able to help you find exactly what you want when you’re buying an indoor putting green. Whatever your needs, our expert staff will be able to advise you on getting the perfect setup. Our award-winning team will help you all the way through your purchase and get you playing with the minimum possible fuss. 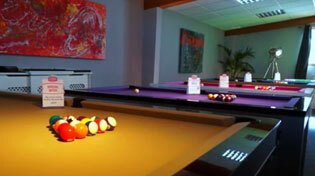 We are passionate about helping you to set up your home games room exactly as you want it. Our expert staff are on hand to answer any questions you may have. If you are unsure about any aspects of your new putting green, just call the team who will happily help you over the phone. We will give you all the advice you need, and we will never misrepresent an item just to get a sale. You can trust us to offer you honest advice, all of the time, so that there are no unwanted surprises when your item is delivered. We believe visiting us will be the most fun showroom visit you will ever have. Whether you’re looking for a putting green or one of our other fantastic games room products, we look forward to welcoming you soon with a freshly brewed cup of coffee and a truly enjoyable experience. Take our Showroom Tour to see what awaits you. We offer Buy Now Pay Later and low interest payments (19.9% APR) on most of our putting greens, with no deposit to pay upfront and flexible payment terms (subject to acceptance). Please see our terms and conditions for more details. We work hard to make sure your putting green purchase is as stress-free as possible from start to finish, and having our own delivery service takes away a major headache that might occur with other retailers. We will deliver your brand new putting green directly. Have Serious Fun choosing your new putting green.